Our Corvette club was formed in late 2010 by a small group of Corvette owners from the Myrtle Beach area of South Carolina. Our mission is to have a Corvette club with active members, sharing our passion for our Corvettes with each other. Whether we are taking a weekend road trip, attending a one day car show or “cruise-in”, or just getting together for a Sunday drive, our club is all about fellowship with other Corvette owners, young or old, from all walks of life. 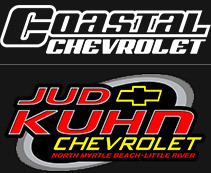 We openly support all the Classic Car Clubs and our Communities in the Grand Strand Area. Whether you are a Corvette owner, who did your own “frame off” restorations or just enjoy driving your Corvette and letting someone else take care of the mechanics, our club has something to offer.